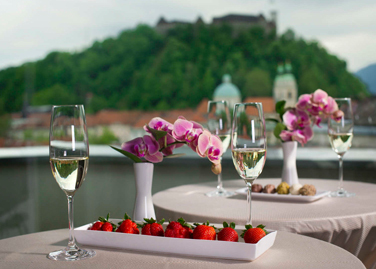 Everything is in the name - City Hotel lives and breathes with the heartbeat of Ljubljana. Friendly and attentive staff, quiet environment and newly renovated rooms emphasize the link between the city and the hotel through a series of black-and-white photos of Ljubljana that create a truly urban atmosphere. Close the doors to your room, relax your senses and allow yourself to rest after a whole day spent exploring cultural landmarks, coffee shops and entertainment of the exciting night-time experiences. Relax in City Hotel in the heart of the city. Prime central locationHow to reach us?